There are many examples of how the school ensures there is a warm welcome for all parents. The parents questionnaire analysis shows a very positive where 100% of parents would recommend the school to others. - Comments written in the parent comment book after class assemblies show that parents feel this. There is often a 80-90% turnout by parents to class assemblies. The parents are then invited back to the classroom to share learning with their child. This is a popular event for parents to attend. - The photo attached shows the involvement expected by parents during parents' evenings. 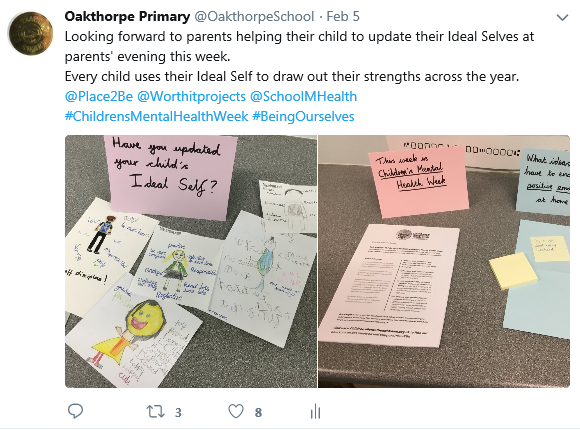 The last one took place during Children's Mental Health Awareness week so this was a good opportunity to share key aspects with parents and invite them to annotate their child's Ideal Self. - Another photo is one example of when parents are invited into school. This is a Forest Schools event where parents including dads and granddads are encouraged to come into school and share learning opportunities. During these events, the use of positive emotions is emphasised. There are many ways in which relationships are fostered and maintained. The impact of this is clear through the most recent questionnaire which shows a very positive response. - As well as parents' evening appointments, some families are identified that would benefit from an extended conversation which is structured around the pupil's aspirations. Staff use impactful questions that are effective to help parents to understand their role in supporting their child's learning. The training staff receive for this structured conversation also includes the importance of the developing emotional health and wellbeing for pupils to help them with their learning in school. This conversation is then followed up 2 other times across the year. - Twitter is used strategically across the school to develop relationships with parents. 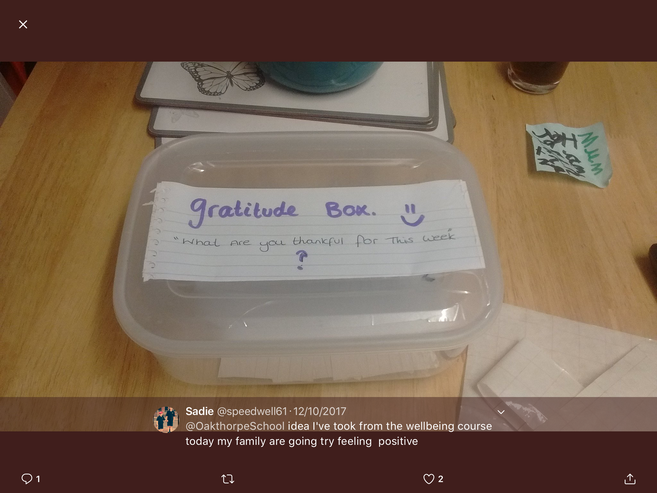 Looking at comments made on @OakthorpeSchool shows focused conversations with families in sharing successes and picking out the impact of positive emotion training. 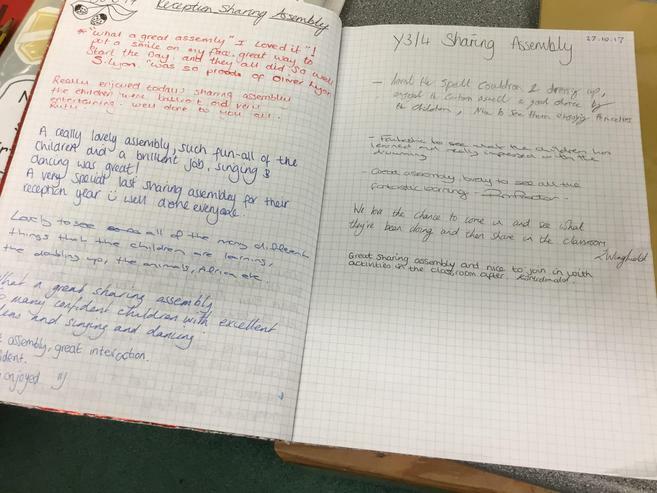 Each teacher has a Twitter account to celebrate successes and to engage with parents.